SLH tenant representatives Stephen Bolton and Loraine Birchall joined hundreds of other tenants to discuss the future of social housing recently. 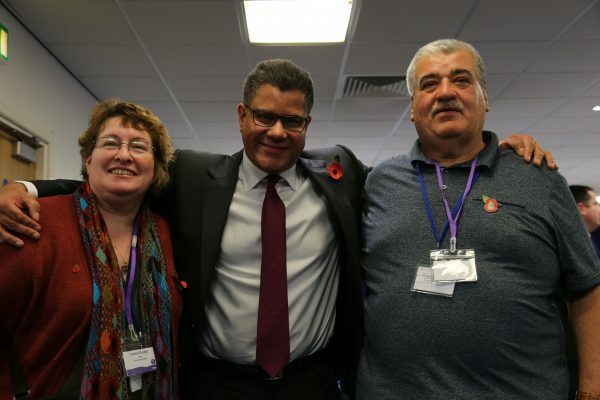 The consultation event with the Housing Minister, Alok Sharma MP took place on 9th November at Preston Football Club as part of a nationwide conversation on the future of the sector. The aim of the event was to listen to the views of tenants living in social housing and to contribute ideas towards the government’s thinking ahead of a forthcoming Green Paper, which is due to be published next year. The sessions will help the Minister to build up a clear picture of the immediate issues that tenants face living in social housing, and to address issues that were raised by the Grenfell Tower fire tragedy. The safety of tenants, tenants’ rights and their voices being heard, managing complaints and redress routes, and ensuring good and consistent quality services from landlords were issues on the agenda. Stephen Bolton, Chairman of the Tenants’ Committee, said “It was well worth going and it was very well organised by the Gateway staff. We spoke about planning delays, investment available for new housing and the problems with Universal Credit for existing tenants“. The session was hosted by Community Gateway Association and the SLH Chief Executive also contributed to a sessions earlier on the same day.